Camp Kici Yapi is located on Pike Lake Trail in Prior Lake, Minnesota. For more information, please call the Southdale YMCA at 952-835-2567. 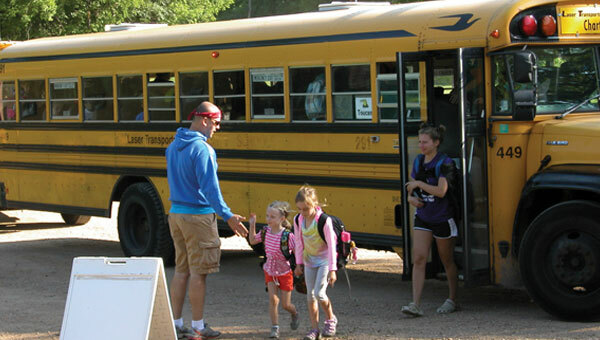 The camp day begins at 9:15 a.m. and the buses leave camp at 3:45 p.m.
For the convenience of camp families, the YMCA provides safe and reliable transportation each day for our campers to begin their adventure! Bus stop locations are available throughout the summer from area elementary schools and other sites. Transportation is provided by buses. All drivers have completed special training and are provided by the bus leasing company. Campers are expected to follow our bus rules and safety guidelines. Transportation is provided each day, to and from camp. Specific bus schedule times will be available on the Kici Yapi web site or on the Kici Yapi Facebook page 2 weeks prior to the week of camp attendance. Pick-up times are between 8 and 9 a.m.
Drop-off times are between 4 and 5 p.m. Please note: All bus times are approximate and subject to change. Pearl Park location has limited bus capacity. Please view bus locations or Kici Yapi's Facebook page before your child attends camp. Please check weekly.